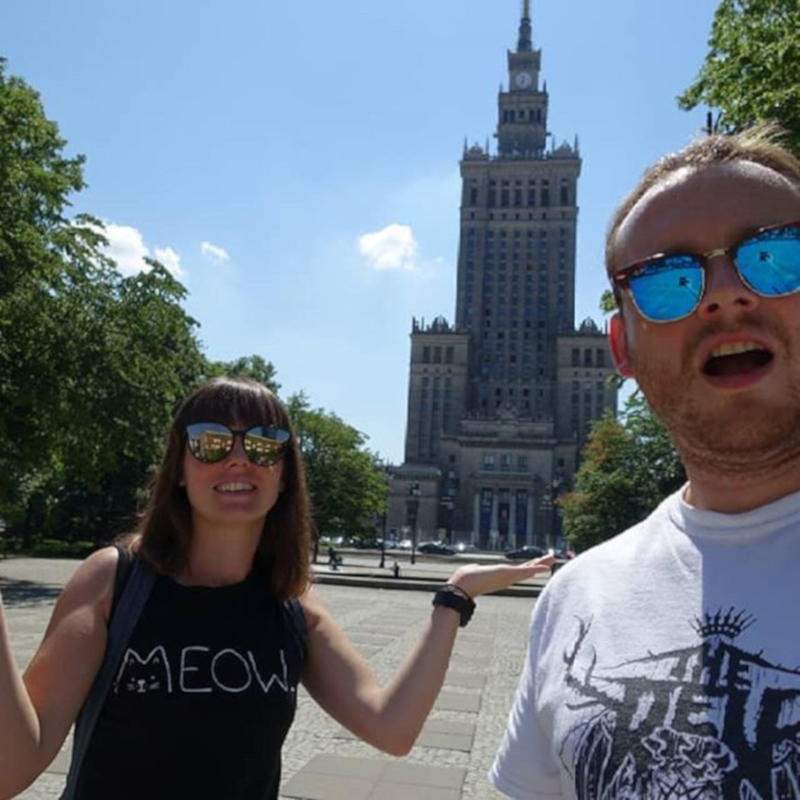 A British travel-vlogging couple have scored a viral hit with a YouTube video in which they dispel common myths about Poland and reveal some of its less obvious advantages. 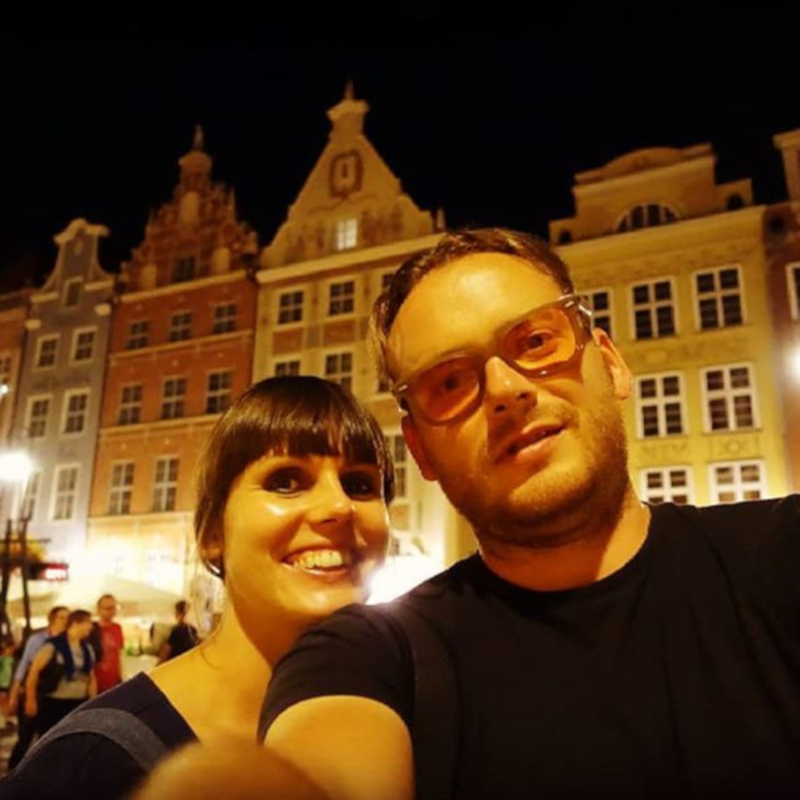 The married couple Adam and Corrine James from Norwich, England, who vlog under the name Jamesyboy Experiment, made the myth-busting video after touring Warsaw and Gdansk in the summer. In the 9-minute video that has already notched up nearly 210,000 views, Adam, a self-employed plumber, and Corrine, a radiographer, relax at home in East Anglia on their leather sofa and share their impressions. Adam told TFN: “In the newspapers, immigration from countries like Poland is demonised and it’s blamed for our economy and the rise in unemployment among British people. Corrine added: “We didn’t find that at all though. Adam underlined this noting that he didn’t see the same amount of ‘to let’ signs in shop windows that he is used to seeing in the UK. “Poland feels like it’s a county on the rise, up and coming, a country to look out for. You get the feeling that it’s about to explode,” the couple said. “Come and visit now so you can see it on the turn,” they advise. Top of the list of things they fell in love with in Poland was the food. “It’s so warming, home-cooked and hearty,” says Corrine. These are not empty platitudes. The series of videos they made about their travels often shows them sighing with delight over morsels of steaming pierogi. One hilarious scene shows the couple in their Airbnb apartment in Gdansk improvising a song and dance routine in honour of Poland’s national dish. Another understandable favourite was grilled Oscypek cheese with cranberry sauce, of which Adam enjoyed vast quantities: “I just love these – they are so gooey, smokey and chewy, the creaminess is really intense,” he eulogises. The British vloggers also commented with great approval on the number of deckchairs, which they found everywhere they went. “What is it with you and deckchairs, Poland?” they ask. After a long afternoon visiting tourist attractions, the couple often filmed themselves having what Corrine dubbed “a deckchair moment”, usually with a Polish craft beer in their hands. They have even come up with a new national symbol for Poland: “Go on, tell them,” prompts Corrine. “It’s a pierogi sitting in a deckchair,” grins Adam. A positive surprise to the vloggers was the cleanliness of the streets. “This may seem silly, but there are so many rubbish bins on Polish streets, which is a complete contrast to the UK,” Adam told TFN. “The streets are so clean, you could eat your dinner off of them,” he added. The likeable couple have become minor celebrities in Poland since releasing their videos, appearing on Polish TV and also receiving local press coverage for a video they made about Warsaw’s Praga district. One reason for the popularity of their videos is that they don’t just stick to the main tourist routes. “We like to find the lesser known places and get into the nitty-gritty – you don’t have to just go to Instagramable places,” Adam explained to TFN. One video shows them getting off a bus in the village of Truskaw near Warsaw and getting attacked by flies in Kampinos forest. Another shows them enjoying live music in the squat on Wilcza street in Warsaw. “It was calm and friendly with a DIY vibe, cracking food and cheap beer… You can’t go wrong with that” the couple told TFN. At the moment, travel vlogging is something they do outside of work, but this may change. “It started off as a hobby but we are in a transitional period – we are hoping to do this full-time,” they explained. 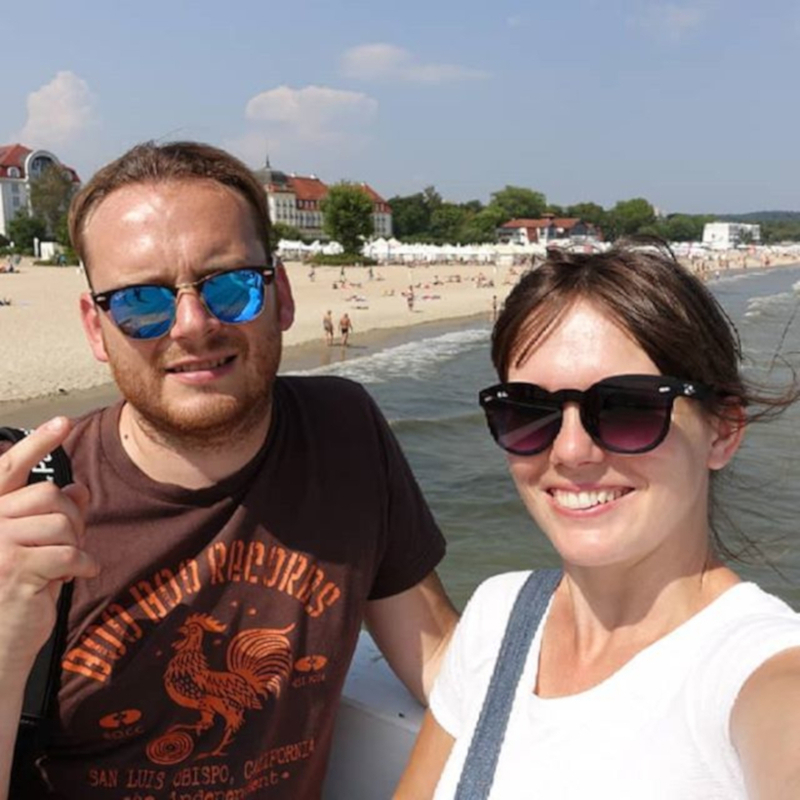 Adam and Corrine have just come back from a trip to Romania, where they visited Bucharest and Brasov, but their love affair with Poland isn’t over as they plan to visit Wrocław, Łódź and Zakopane in the autumn.